The annual release of government records under the ’30 year rule’ by The National Archives at Kew has become a major fixture, not only for historians but for anyone with an interest in our modern history. In recent years this ‘historical bonanza’ has taken place in late December, and has invariably generated acres of newsprint and a huge amount of media coverage in general. It’s an event which engages the public with contemporary history, offering revelations and new perspectives. The release of government papers regularly reminds us that ‘history has no final draft’. We now herald a ‘boom time’ era for contemporary history, as this year, the Government begins its move towards releasing records when they are 20 years old, instead of 30. Over a ten-year transition period, The National Archives will work with government departments to accelerate the process of files transferred under the 30-year rule, receiving double the amount of files each year, as part of the move to the 20-year rule. 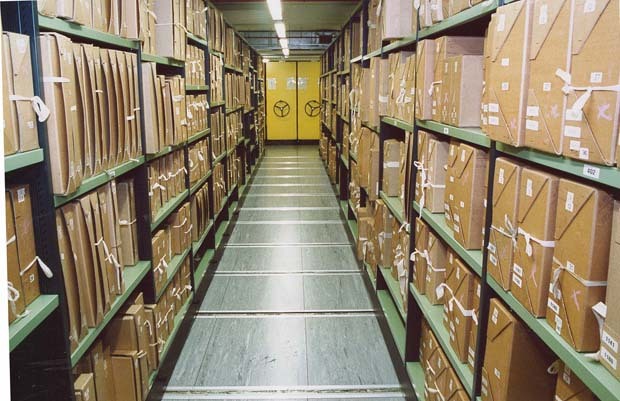 During 2013 The National Archives will receive records from government departments for the years 1983 and 1984. Then, two further years' worth of government records will be transferred each year until 2023 when we will receive records from 2003. You can find out more about the move to the 20 year rule, and the background to this significant development, from The National Archives website . 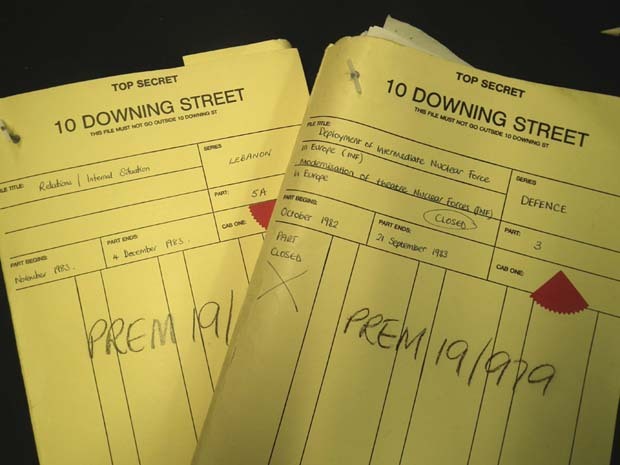 And so, today, 1st August, The National Archives is releasing Prime Minister’s Office records, Cabinet Papers and Home Office records from the year 1983. Under the previous arrangements these would have been released at the end of this year. Highlights from the 1983 releases include: tensions in the US/UK relationship over the US invasion of Grenada; Mrs Thatcher’s reactions to proposed special advisers; Defence Secretary John Nott’s concern that ‘we underestimated the problem of possible public opposition’ to the placement of cruise missiles at Greenham Common; and the possibility that Mrs Thatcher ‘might feel able to accept’ a female giant panda for the British people if offered one during her trip to China. From serious to quirky, there’s something of interest for all! See The National Archives website for more details. The move to a 20 year rule seems sensible. Being of an age not to be able to remember these events I wonder if Mrs Thatcher did indeed get offered and finally accept the Giant Panda?